Installs in a 22mm diameter hole. Powered by 220-240V AC or DC. Includes rubber gasket and lock nut. LED lights are brighter and more evenly lit than the incandescent versions and will last considerably longer, not to mention use less power. 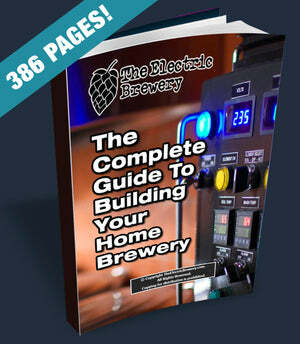 Included in our Electric Brewery Control Panel kits. An electronic book version of the build instructions on our website perfect for reading offline, printing, or just having a complete backup. Available for immediate download - no waiting!